Is your quest for a dreamy beach lifestyle, a residence showcasing a stunning collaboration of quality and style, an easy care 373 sqm freehold section that enables you to travel at whim together with a prestigious address on the coveted Golden Mile - then you have reached your destination! Awake each day to the sun rising across the ocean, take an early morning swim or wander to Tay Street Café for a coffee. Those with a laptop lifestyle will love the exciting blend of executive and laidback beach living - suit or sandshoes, choose them at whim. Convivial conversations are assured around the island in the designer kitchen surrounded by sumptuous open plan living. Friends and family will love gathering for long summer evenings on the sheltered north facing al fresco deck directly off the family living room and kitchen - entertaining could not be easier. On the upper level the master with walk-in robe and simply stunning ensuite offers a private space, whilst the extra living area with views of the ocean, another double bedroom and bathroom offers room for guests or treasured family members. The lower level offers a further double bedroom and bathroom, separate laundry, double garaging and prized off-street parking. Close to downtown Mount and Central Parade shopping, with its fantastic array of cafes, restaurants, bars and shopping. Swim, surf, fish, boat - the ultimate playground awaits with its stunning beaches and pristine waters. 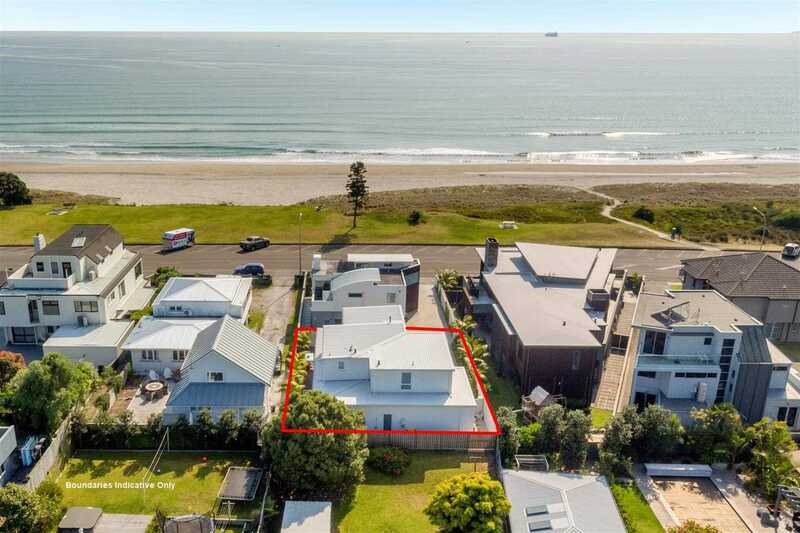 Exciting opportunities to reside on the golden mile in one of New Zealand's best holiday destinations don't come up often - be quick and secure your viewing today! Chattels remaining: Blinds, Light Fittings, Dishwasher, Waste Disposal, Wall Oven, Gas Hob, Rangehood, Heatpumps x 2 & 2 Remotes, Heated Towel Rails x 3, Clothesline, Auto Garage Door & 2 Remotes, Shutters, Gas Heater.